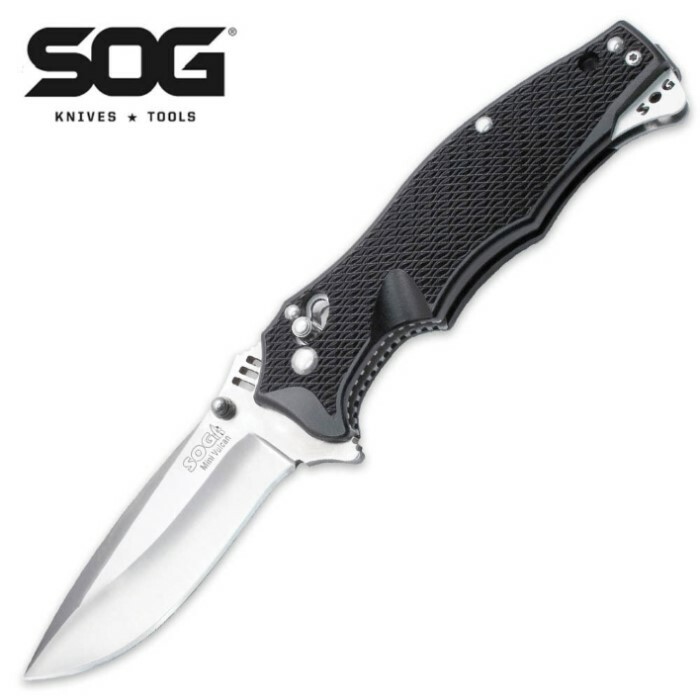 SOG Vulcan Mini Assisted Opening Pocket Knife | BUDK.com - Knives & Swords At The Lowest Prices! Very nice knife, love the Arc lock system.The Zytel handles have a very good grip to them. The VG10 steel blade is razor sharp right out of the box as one would expect from SOG, Not so sure it should be called a Mini though, does not feel small in the palm. The knife opens with very little effort, very very smooth and FAST, Will be good for every day carry, nice brushed stainless steel pocket clip. Would recommend this knife to anyone who is looking for a good solid knife.